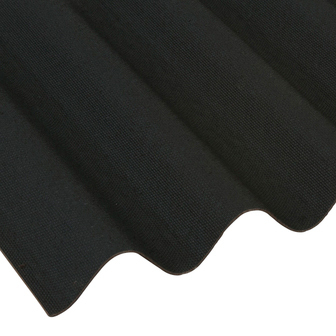 Coroline bitumen sheet is a tough yet light weight roofing material. It is available in a choice of colours including Black, Green, Red and Brown. It is guaranteed waterproof for 15 years.